Tonight in Japan, Atlus just announced a new Persona game. 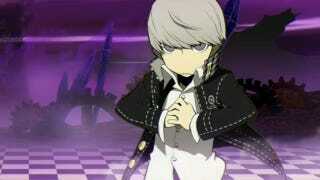 It's called Persona Q: Shadow of the Labyrinth, it's slated for the 3DS, and it's probably not what you are expecting. The RPG features characters from Persona 3 and Persona 4, which is cool. But the characters are cuted up "chibi" ("little" in Japanese) versions of themselves. Persona Q will be released June 5, 2014 in Japan. No word on a Western release.